LG-D820: Nexus 5 or Just Another G2 Variant? Last week, we caught a glimpse of what we believe to be the next Nexus device from Google, made by LG. During an unveiling of the Kit Kat statue, a Googler was caught using his unannounced Nexus phone to snap a photo of the statue happenings. 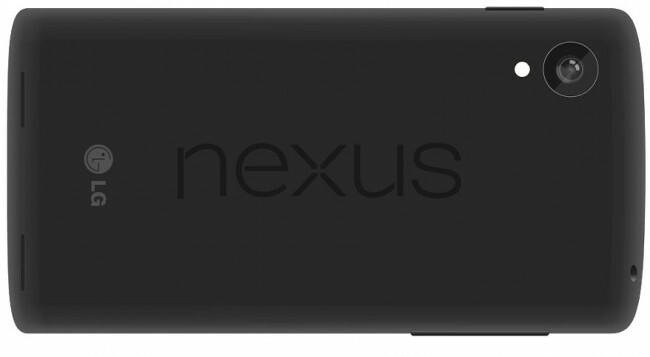 As you can imagine, word and image proof quickly spread as Google buried the video, with the world eventually deciding that this was the “Nexus 5.” While the name is by no means official, this was indeed an unannounced Nexus phone used by a Googler, and that’s at least something to talk about. Then days later, an LG device surfaced at the FCC under the model number LG-D820, with all sorts of signs that this could be the device we saw in the Kit Kat video. And then this morning, famed Twitter leaker @evleaks posted a couple of notes claiming that he believes the LG-D820 is nothing more than a CDMA variant of the LG G2, not a new Nexus. I’m not sure I’m ready to buy into his story, but he has been on-point enough in his history to at least be heard. So Evan showed a picture this morning of a listing for a device under the model number LG-D821 which does indeed look to be a G2 variant. Since the model number is so close to the D820 we believe to be the new Nexus, he’s sort of jumping to the conclusion here that 820 to 821 would likely be a similar device. It does seem a bit odd that LG would slot in the new Nexus as the 820 and then another G2 variant as the 821. 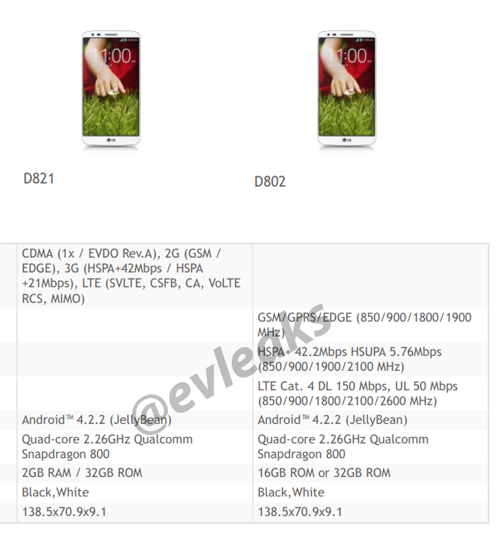 His listing also shows that the device runs Android 4.2.2, and has matching dimensions to the other G2, which is the D802. But I’m still a believer in the D820 being the next Nexus, and here is why. First, we laid out evidence already here, which you should definitely read, but there are some specific details here that still have me on #teamnexus, starting with the codename. We were told months ago (at least 3 months ago) by an incredibly reliable source that the codename for one of the new Nexus phones would be “hammerhead.” The LG-D820 was spotted at the FCC last week running an unreleased version of AOSP Android (labeled KeyLimePie) with the name “hammerhead” attached to it. That would be too odd of a coincidence for this not to be the Nexus device that our sources tipped us off to. Beyond the codename, the dimensions of the D820 paint the picture of a slightly smaller device (131.9X68.2mm) than the G2, with a smaller 4.96″ display. The G2 (as seen in the photo above) has dimensions of 138.5×70.9 with a 5.2″ display. The camera housing on the D820 also matches up to the phone held by the Googler, which is a top left placement, when the G2 (in all variants) has a centered camera with flash and terribly placed volume and power/lock buttons. Why would LG move the camera and top design choice (button placement) of the G2 on one single variant known as the D820? Seems odd. So, what do you think? Is the D820 the new Nexus or just a G2 variant? I think I’m still leaning heavily towards new Nexus at this point.